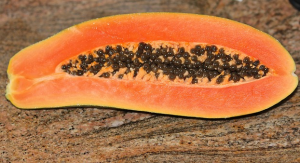 Can Dogs Eat Papaya: Fresh or Dehydrated? Is Papaya Good For Dogs? Can Dogs Eat Papaya? Is Papaya Good Or Bad For Dogs? Today’s question: can dogs eat papaya? Is papaya good or bad for dogs? Scroll down for detailed answers. Eating fruit and veggies and maintaining a whole food diet is the goal many people have in our modern society. Health, happiness, and nutrition seem to be the key factors to happiness, mostly achieved through diet. Diet plans have come under the microscope as of late to determine the fountain of youth and the secret to longevity. In the quest to have a healthy body and mind, many turn to fruit sources for the supplements needed of a particular vitamin or mineral. In the quest for health through food, many dog owners have begun supplementing their dog’s diet with fruit and veggies as well. 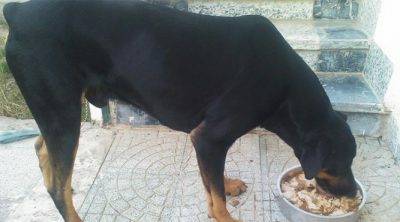 Dogs tend to eat any and all food, whether the food is good for them or not. 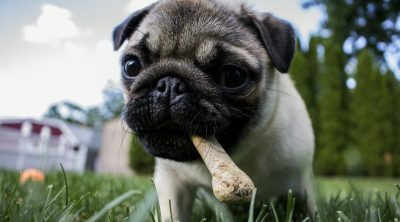 Dogs do not know of risk or harm that could arise from eating a particular food. Dogs also do not take into account the nutritional content or calorie count of any particular food they are ogling. Dogs genuinely love eating fruit once in a while, but are exotic fruits good for them? Adding fruit into the diet of your dog is a good source of vitamins as well as a good source of variety for your pet. Fruits have different smells, texture, and tastes and a host of vitamins your dog may benefit from. 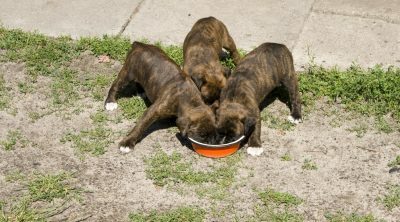 When attempting to try new foods on your dog, make sure the fruit is complaint to his/her size, breed, and temperament. Research the food, the ingredients and possible side effects first. BE sure to watch for any aversions your dog may have and ask your vet if the foods are generally safe to offer. In regards to fruit, dogs may enjoy most all fruit as long as the fruit is free of nuts, pits, shells, seeds, and skin. In the event the fruit you have chosen contains any of these items, simply remove the pit or the seed, peel the skin and remove the shell before offering the main part of the fruit. Can Dogs Eat Dehydrated Papaya? As a matter of fact, papaya is a safe fruit to feed your dog from time to time. There is no reason to worry about your dog getting sick from papaya if given in moderation. Small amounts of papaya should be given to your dog at first to ensure s/he likes the flavor and texture and that there are not any side effects occurring. After you have tested the fruit on your dog, you may increase the serving size just a bit and only offer on occasion. A dog does not need papaya to survive and should not be offered a diet rich in papaya under the pretense the fruit is healthy. Find out what makes papaya a recommended treat for your furry friend. Papaya is an exotic, approved treat for your canine buddy. It embodies an excellent source of healthy fiber, which makes it utterly beneficial for your dog’s digestive tract. In fact, it is recommended in case your furry pet suffers from indigestion or stomach ache. Dogs suffer from heartburn and upset stomachs just as people do, and avoiding these gastro intestinal problems should be the goal of all people and their dogs. 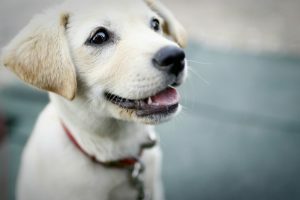 Keeping your dog’s health and happiness on the forefront, you should consider the reactions one dog may have if introduced a new food. The reaction may be good or bad, helpful or hurtful. In the area of papaya, the fruit could be great as well as helpful in that the food can offer nutrition and a natural medicine for stomach aches. The fact that papaya is such a good source of fiber should allow you the peace of mind in knowing the fiber has so many good qualities to offer your dog. Helping with digestion, the fiber from the papaya will boost immunity and overall health in your dog. 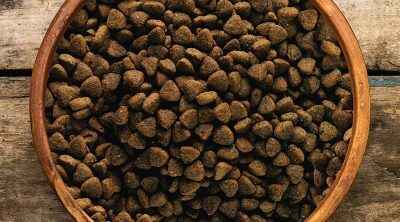 The fiber will also help your hungry dog feel fuller, longer, and perhaps not eat as much food off the counter. You may choose to offer your canine buddy a fresh papaya, as it is significantly more flavorful. Fresh fruits and veggies should be the only type of fruit and veggie offered to your dog. Fresh fruit offers the most vitamins with the least amount of risk. While dogs do not have the luxury of choosing only the freshest fruit available when hunting in the wild, a little bit of not-so-fresh fruit will not do much harm (if at all). Dogs do not wash their fruit in the wild and select the plumpest peach, but you doing this as a factor for your dog will only increase the effectiveness of the fruit and the pleasure of your dog. Yes, dogs can eat a little bit of dehydrated papaya from time to time. However, dehydrated papaya is sweeter and contains more sugars and it is not recommended for dogs suffering from diabetes. Dogs suffer from diabetes just as humans do and there is no need to raise the sugar levels of any dog. Sugar levels of fruits should be verified before giving to your dog as fruit usually contains a high amount of sugar-attributing to the sweet taste. In looking to avoid the sugar content of the papaya, there is also the alternative of papaya tablets. Papaya tablets are believed to present similar properties to fresh papaya. Supplements in vitamin form are usually a better bet as a safe and healthy supplement for your dog. If you simply wish to offer the nutrients of the papaya, your dog does not really need to eat the fruit itself. The tablet may work just as well as consumption while avoiding the potential side effects and sugar content. Even so, it is best to consult with your vet before giving your dog papaya tablets, especially if you have a smaller dog breed. Another positive reason to include papaya in your canine buddy’s diet is because papaya is used for preparing commercial dog food. Since papaya is included in processed dog food, you may be more apt to including the ingredient on the side as a treat. 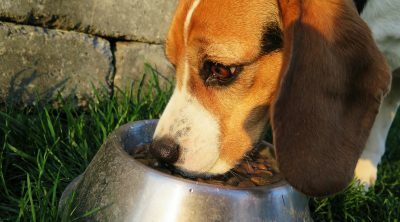 Ingredients in dog food are generally safe in the food and on the side as well. More exactly, papaya is a common ingredient in appreciatively 5 percent of dog foods. It is more common in wet dog food than in dry dog food. Among the health benefits papaya incorporates, the most important one is that it improves your dog’s digestion while diminishing the risks of colon cancer. It also enhances the flavor of the dog food, as it embodies a sweet, tempting taste. Luckily, you may purchase this magic fruit all year round. It is always recommended to opt for organic ones. When selecting for papaya fruits, the ones that are more or less soft to the touch are higher in antioxidant content than the ones with a stiff texture. You should leave the fruit at room temperature until it softens. If it’s already soft, you may feed some to your dog. You should avoid green papaya unless you wish to add it to your salads only. Normally, green papayas won’t have the juicy, flavorful taste you expect. When preparing a papaya for your canine buddy, make sure to peel off the skin and remove the seeds. It’s best to cut it in tiny pieces, as your enthusiast furry friend might choke on the big chunks. You might combine this super-fruit with the usual dog food, or use it as behavioral treats. Papaya embodies a wide range of health benefits. The reason it’s a super-fruit for your dog is because not only does this fruit incorporate amazing health benefits for humans, but for your canine buddy as well. While this doesn’t apply to every fruit and vegetable, papaya is a recommended addition to your dog’s diet. Papaya is the type of food that helps improving the digestive health. Thanks to its richness in fiber and effective enzymes, papaya consumption may treat mild to severe allergic reactions of the intestinal tract while significantly improving your dog’s digestion. The richness in healthy nutrients also may lower the risks of colon cancer. Also, papaya functions as a natural de-wormer, and it may act as a preventive measure against intestinal parasites. It is rich in healthy fiber, vitamin K, E, A, C, and essential minerals including magnesium, calcium, and potassium. Your pup needs all these minerals and vitamins for a strong bone system and a healthy immunity. It is also a natural source of energy while significantly enhancing your dog’s overall health. Papaya promotes the health of your dog’s cardiovascular system while aiming at lowering the levels of cholesterol. Papaya embodies many powerful antioxidants, including beta-carotenes and vitamin A. The richness in vitamin A assures your canine buddy a healthy skin and coat. It also prevents vision-related problems from occurring. Also, papaya incorporates an excellent source of vitamin C, one of the highest concentrations found in fruits. It helps improving the health of the bones. Being rich in powerful antioxidants, papaya will help your dog fight against the regular canine influenza and the common cold. Papaya contains one-of-a-kind, effective enzymes – papain and chymopapain. They aim at diminishing inflammation and accelerating the healing process in case your dog suffers from inflammation. Accompanied by vitamin C, which is beneficial in decreasing inflammation, papaya is a super-fruit that you should most certainly share with your canine pal. Just remember not to feed large amounts of papaya to your dog daily. Moderation is the key. Moreover, don’t feed papaya as a staple everyday food to your dog. 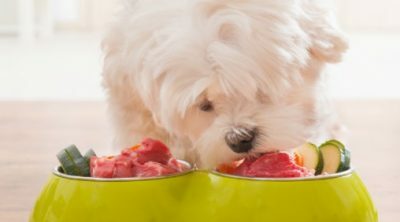 Great article but dogs should never eat raw veggies. Their short intestinal tracts prevent the cellular walls from effectively breaking down in veggies. So while they can digest it, they don’t receive as many vitamins as they would if you boiled the veggies instead.